The snow clouds are finally clearing, warmer weather and sunny days are here - which means summer is just around the corner! My taste buds are tingling for some delicious sweet corn, so to appease my taste for all things summer, I decided to make some sweet and spicy corn salsa! This salsa is packed with tangy flavor from sweet onions, limes and cherry tomatoes to balance out the sweetness of the fire roasted corn. To add a significant amount of heat, I chopped up a couple jalapenos - but next time I make this salsa, I'll definitely be throwing in a habanero or two to really keep things interesting. Right before serving, be sure to toss in the avocado - if you add it any sooner in the recipe, the avocado will start to brown. My boyfriend (pay no attention to his dirty engineering hands in the video LOL) and I munched away on this salsa while enjoying the first 70 degrees and sunny day we've had so far in 2017 - and dreamed of even warmer days to come! 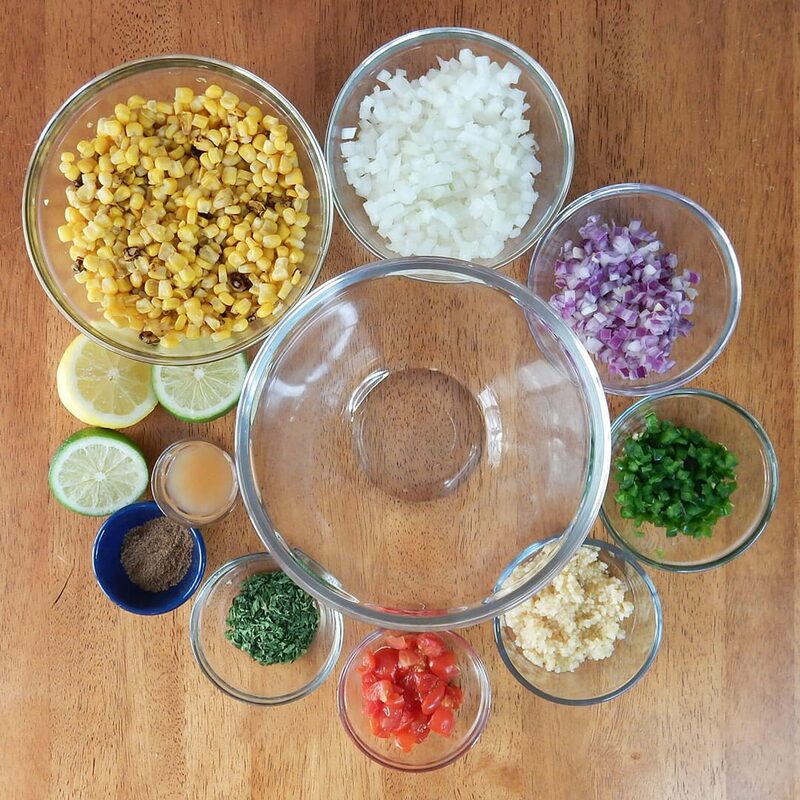 Stir together the corn, sweet onion, red onion, jalapenos, garlic, cherry tomatoes, parsley, cumin and apple cider vinegar. Add in the fresh lemon and lime juice and season with salt and pepper, to taste. Chill for one hour or until ready to serve to let the flavors fully develop. Peel and cut the avocado into cubes. 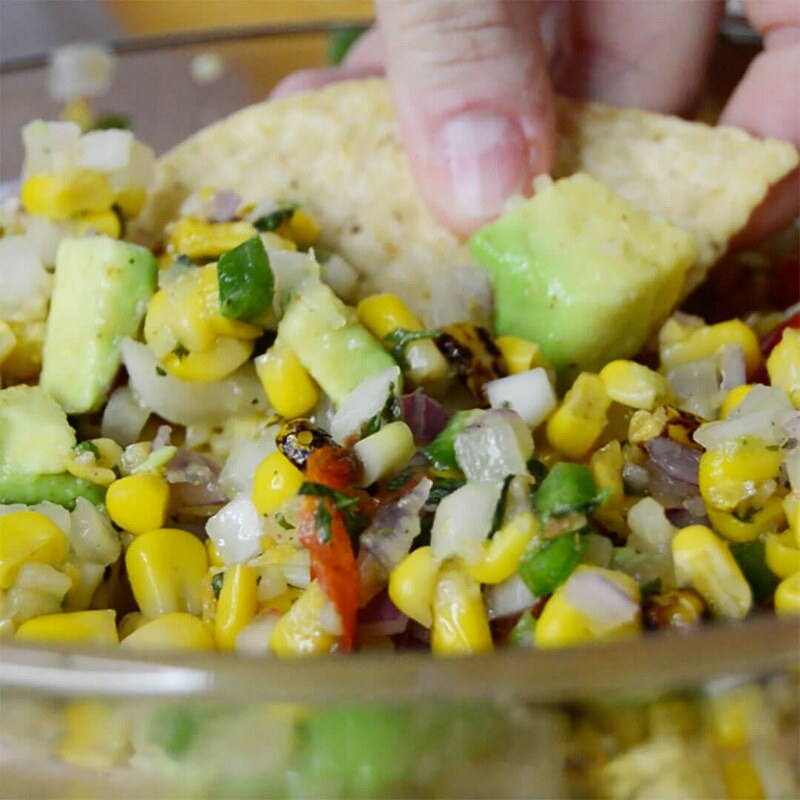 Gently fold the chunks of avocado into the corn salsa. Serve cold or room temperature with tortilla chips. Enjoy!